We had new blinds installed in our master bathroom and the whole process was great. From measuring to install, everything happened smoothly, and it is clear you are dealing with professionals. 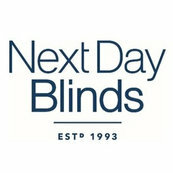 As we start slowly changing out blinds in other rooms, we'll definitely be using Next Day Blinds.